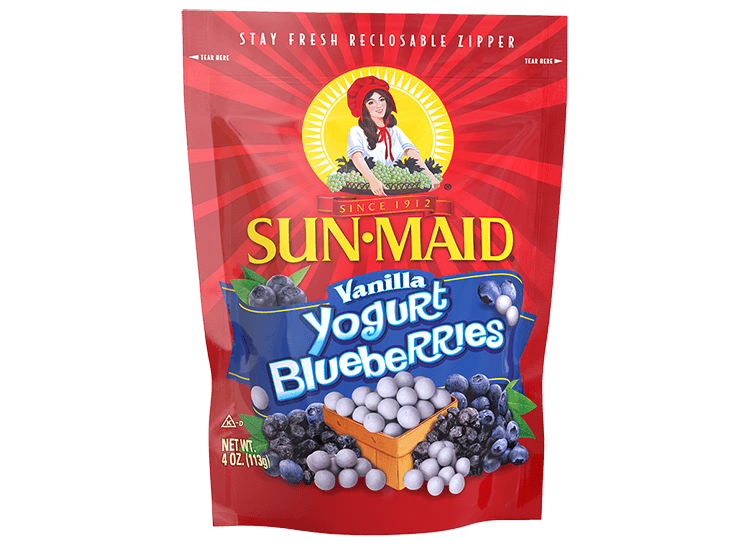 We start with blueberries naturally grown and dried to perfection before covering them in creamy vanilla yogurt. 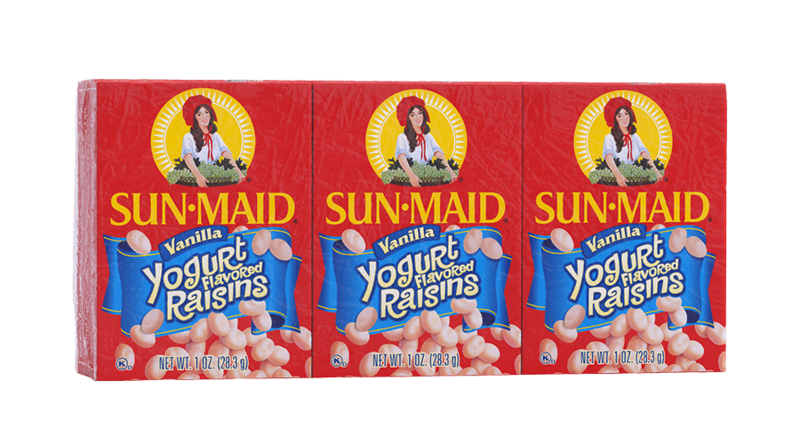 Sun-Maid Vanilla Yogurt Blueberries are an easy, healthy and unexpected snack for kids and adult kids alike. *Percent Daily Values are based on a 2,000 calorie diet. Your daily values may be higher or lower depending on your calorie needs. 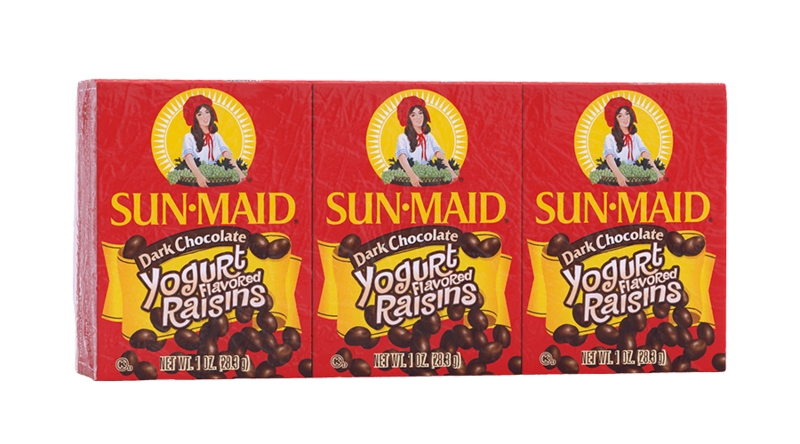 These nutrition facts are based on the 4 oz. pack size. 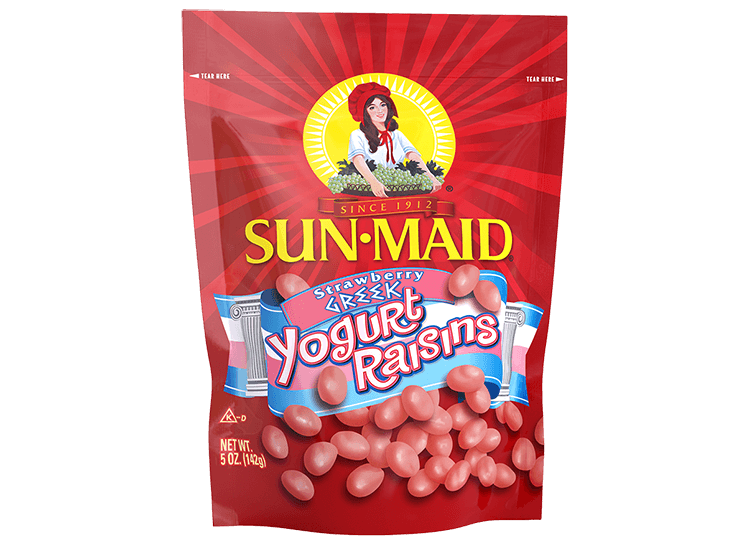 INGREDIENTS: YOGURT FLAVORED COATING (SUGAR, HYDROGENATED PALM KERNEL OIL, NONFAT MILK POWDER, YOGURT POWDER (CULTURED WHEY AND NONFAT MILK), ARTIFICIAL COLOR (TITANIUM DIOXIDE), LACTIC ACID, SOY LECITHIN – AN EMULSIFIER, VANILLA), DRIED BLUEBERRIES (BLUEBERRIES, SUGAR, SUNFLOWER OIL), TAPIOCA DEXTRIN, COLOR ADDED, NATURAL FLAVOR, CONFECTIONERS GLAZE.